The loft is one of Scotland’s most high-energy, ideas-led and creatively ambitious design and branding houses. A place where beautiful ideas are brought to life in the most imaginative way possible. Our large South Block Studio is a little quiet at the moment so we’re hoping you can help us fill it out a bit. We are looking for a whole range of people – creative staff, interns and hot-deskers to come help us build the most incredible of incredible creative environments. We are looking for a creative designer who can help us bring beautiful ideas to life. We work predominantly in graphic design but don’t be surprised if you find yourself being stretched creatively in other ways. You will have exceptional basic skills (sketching and ideation,) have an open mind, enjoy working with others and have a real desire to learn and improve. You will have the opportunity to work with great people who really love what they do, be part of a wonderful creative environment, work directly with clients, take part in our many extra-curricular activities and be competitively paid. 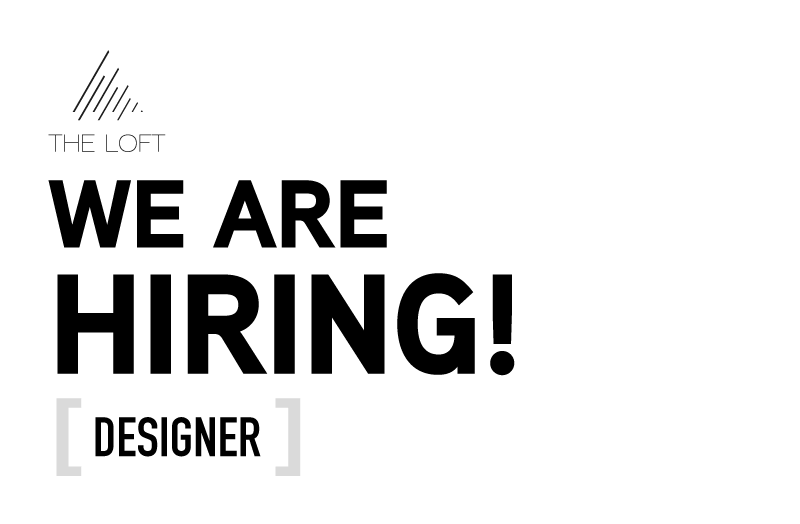 This position is ideal for a graduate or inexperienced designer. We have lots of different ways of doing things that we use to achieve spectacular outcomes – we want to share these with you and then work with you to create new ways to re-write the rule book. To help us breathe life into even more beautiful ideas – we are also looking for College and University interns that can join our studio over the coming months. We have a lot that we want to do for our clients and also for ourselves and are therefore excited to offer this opportunity to a young creative who wants to gain a truly professional experience in a wonderfully creative environment. You will have exceptional basic skills (sketching and ideation,) have a very open mind and enjoy working with others. You will receive the most professional of professional experiences – working directly with our team and also our clients, taking part in all of the ‘other’ activities that we do as a studio and squeeze as rich an adventure as possible into a few short months. We have a big, beautiful, open space with ample room for individual creatives, freelancers or start-up entrepreneurs to come and use. – For creative freelancers – the opportunity to collaborate on projects. The price is £120(+20%VAT,) we require a minimum 3-Month commitment and a reference too. Thank you, the loft team.